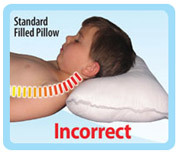 Did you know that ordinary pillows can push the spine out of alignment? 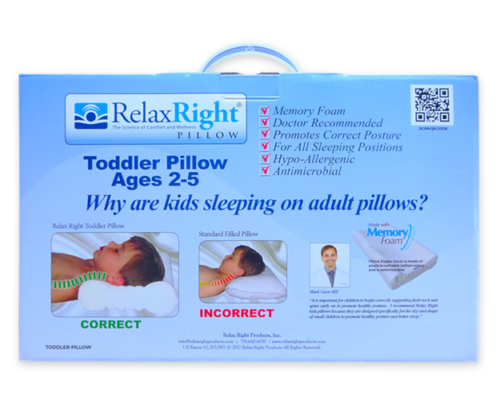 That’s not good for your child’s growing bones! 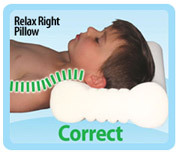 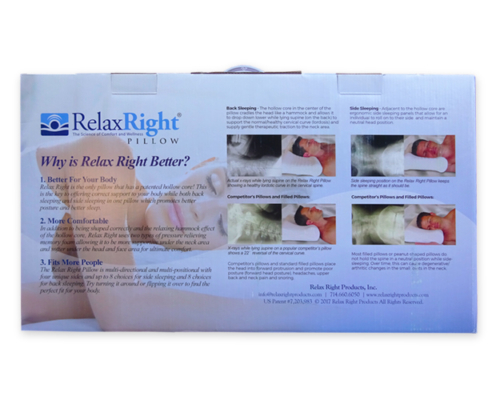 Our Relax Right Big Kid’s Pillows position the neck and spine correctly, promoting healthier posture and better sleep. 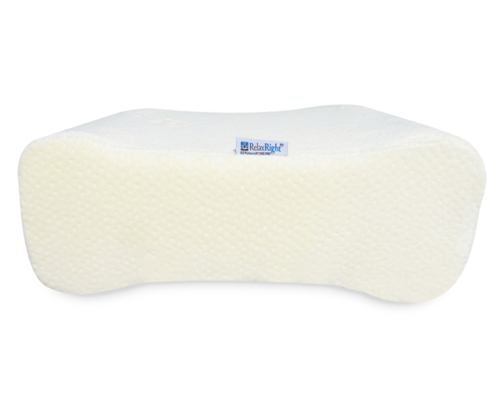 Our children’s pillows are now made with Memory Foam and feature an Antimicrobial Velour Cover which adds to the the great performance of our pillows, and the super soft velour cover is easily removed for cleaning! 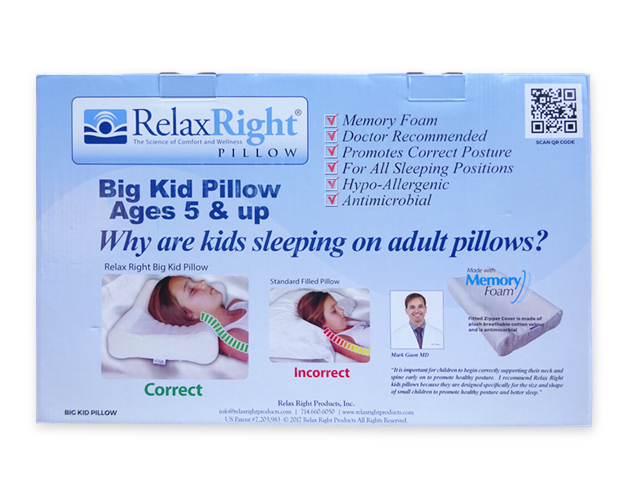 Scientifically designed for a child’s anatomy – available for kids 5 years and up. 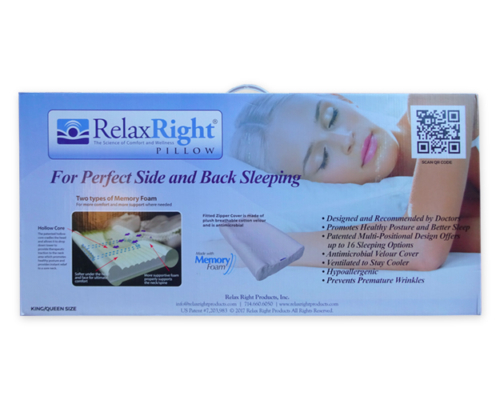 Our Relax Right Big Kid’s Pillow positions and supports your kid’s neck and spine correctly, promoting healthier posture and better sleep. 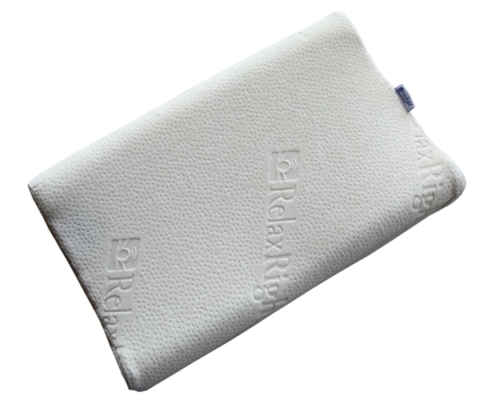 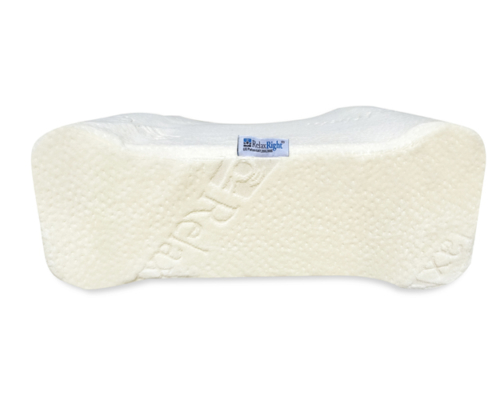 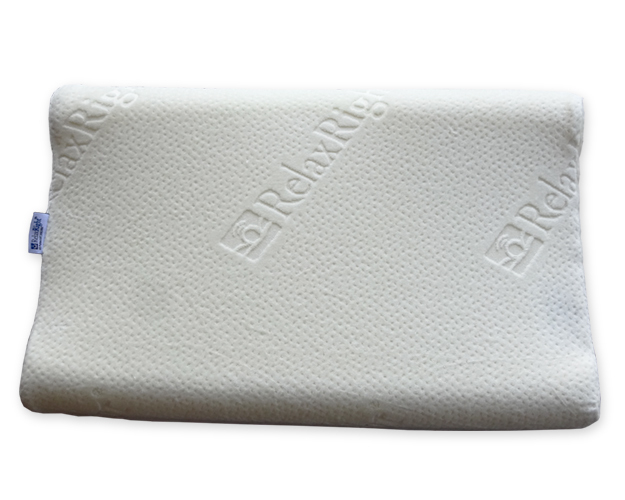 The Relax Right Big Kid pillow is made with Premium Quality Memory Foam – NOT the cheaper shredded memory foam. 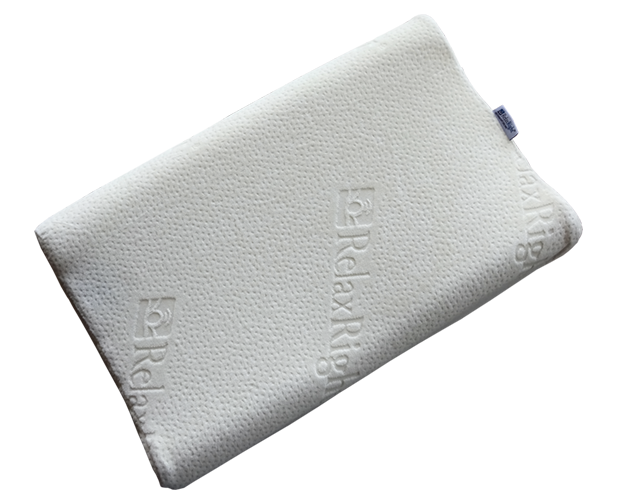 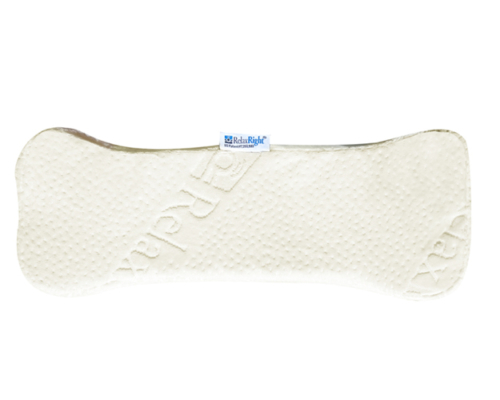 Our pillow features a Super -Soft Antimicrobial Velour Cover – easily removed for cleaning – which helps your child really look forward to nap or nighttime sleeping!